Tribologik Corporation and Predictive Maintenance Corporation are two ISO 17025:2017 certified lubricant, fuel and coolant testing laboratories.Tribologik Corporation is located in Hammond IN, U.S.A. and Predictive Maintenance Corporation in Montreal QC, Canada. All the tests performed are ISO 17025:2017 certified, both in Montreal and in Hammond. Both laboratories operate under the same management and same expertise with over 30 years experience in condition monitoring and in used lubricant, fuel and coolant analysis. Our laboratories perform both general and specific oil tests to monitor the condition of large industrial, mining and transport equipment on behalf of global corporations and public utilities in the U.S.A., Canada, Panama, Argentina, Ecuador, China and Morocco offering reports in English, Spanish, French, Chinese and Portuguese. Our laboratory is certified by Pratt & Whitney Canada, Bombardier and SAFRAN Turbomeca, and provides oil testing services to several airlines in North America, Europe and Asia Pacific. Founded in 1984, Predictive Maintenance Corporation is considered among the most experienced oil testing laboratory in North America. Based on decades of experience and a continuous R&D program, Tribologik®, our unique Artificial Intelligence testing system and fully automated laboratory information management system (LIMS) were developed, created and incorporated under the name of Tribologik Corporation in the U.S.A.
Tribologik® laboratories are equipped with the latest lab instruments and technology and are overseen by expert scientists. All lab technicians are trained and proficient in ISO 17025 :2017 procedures, Best Laboratory Practices and ASTM analysis methods. Our high level of automation allows quick turnaround time, greater efficiency, interpretation consistency, reliability and quality results. 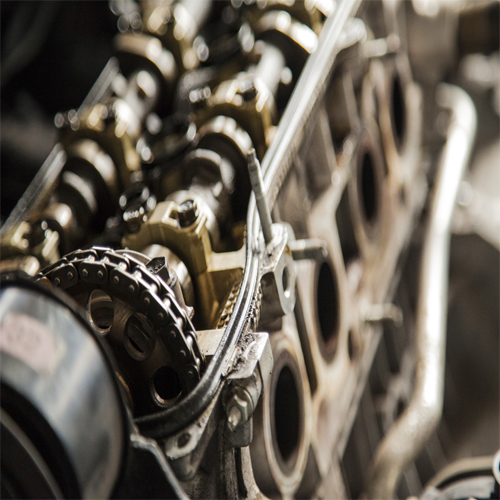 Our laboratories provide analysis services on industrial and transport lubricants, fuel, varnish, grease and coolants, monitoring the condition of engines, hydraulics, bearings, gearboxes, differentials, transmissions, compressors, pumps or turbines.